HA NOI (VNS)— The State Securities Commission (SSC) on Thursday approved Sai Gon Securities Incorporate (SSI)'s decision to raise foreign ownership in the company's capital to 100 per cent from September. 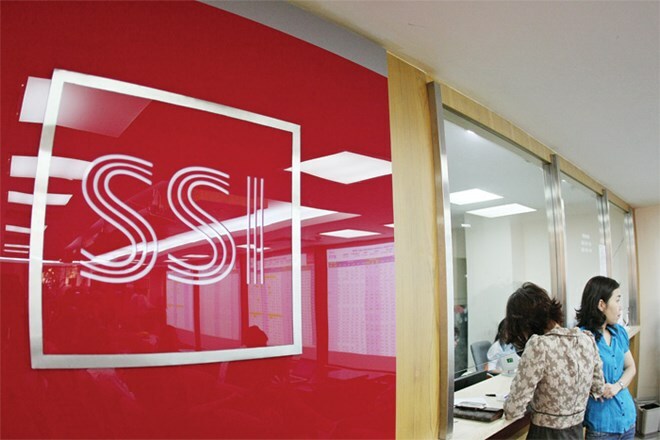 SSI will be the first listed securities firm that can be fully owned by foreign investors under the recently issued Decree 60, which takes effect next month and aims to raise foreign investment in the national stock market. This information helped SSI shares rise 6.64 per cent yesterday and makes it the second most active stock on the HCM Stock Exchange, with a trading volume of nearly 12.5 million shares. SSI rose nearly 16 per cent to stand at VND25,700 at the end of yesterday session since June 26 – the date when the Ministry of Finance issue Decree 60. SSI on August 21 sent a letter to its shareholders to collect their opinions on changing the corporate charter that will allow foreign investors to raise their capital in the company to 100 per cent. The company plans to finish collecting opinions from its shareholders on September 1 and has not published the amended corporate charter yet. According to SSI, the company has a remaining 0.4 per cent of the capital for foreign investment, among three listed brokerage firms, including HCM Securities Corporation (HCM) and VNDirect Securities JSC (VND), which have the least remaining room for foreign investment in capital. Besides the three companies, other brokers on the national stock market still have at least 31.6 per cent of their capital left for foreign investment. The HCM City Securities Corporation (HSC) recently said the SSC would remove some items in Circular 123, including one saying listed companies needed to organise shareholder meetings to amend company charters. However, HSC said that this change may be applied only for securities firms.